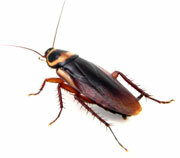 ThermaPureHeat is an environmentally-friendly, chemical-free fumigation alternative. We can kill bed bugs, termites, dust mites, bacteria, mold, and other microorganisms with pure heat. This process is called Structural Pasteurization. The process can be applied to an entire structure (such as a single-family home or commercial building), to a single level of a unit (such as a multi-family house), or to a target area (such as a kitchen cabinet or around a dishwasher's waterline). Killing mold and bugs with Structural Pasteurization is a multi-step process that is very safe and, most importantly, chemical free. One of the biggest benefits of ThermaPureHeat is the ability of the system to penetrate and kill organisms in inaccessible spaces. Most mold remediation techniques just remove the mold growth. ThermaPureHeat kills the mold, preventing it from returning. It also dries out the structure, creating a less conductive area for mold to grow in the future. All mold needs to grow is humidity, heat, and an organic material. On the day of the treatment, your family, pets and plants will be relocated temporarily. Items that need to be safely secured must be done so prior to the treatment. Large heat sensitive items, such as TVs, stereos, and computers, will be protected with special thermal blankets. Structural Pasteurization is very scalable, meaning it can be applied to the whole house or just to a specific room. Ducts are attached to propane-fired heaters that have a blower. The ducts are then placed in the treatment area. Fans are used to evenly distribute the heat in the area. Dry heat is then applied. Depending on your goal, whether it is to kill bugs or kill mold, the temperature and duration of heat varies. Below is a link to a heat eradication chart. The key is reaching a target temperature, sustaining that temperature for a specific amount of time, and maintaining an equal distribution of that temperature throughout the treatment area. Once the heat treatment is complete, cleaning occurs. The dead pests are removed. Any visible mold is cleaned off surfaces. In some cases, if mold is packed away deep into the structure, such as in the drywall, gross removal may be used to remove contaminated architectural elements. Below is video segment from Discovery Channel's "Verminators". The video shows the process of killing bed bugs with ThermaPureHeat. 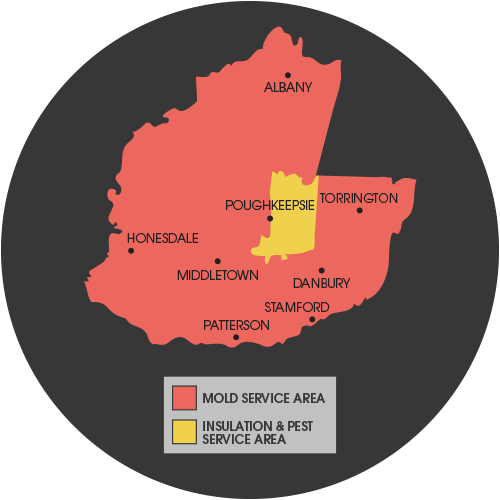 We offer free pest and mold inspections to homeowners throughout New York, Connecticut, New Jersey, Pennsylvania, and parts of Massachusetts. Contact us today!